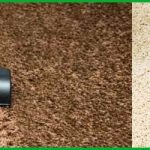 Pest Control Brisbane – Guaranteed Cockroaches, General Pests, Ants, Rats, Termites control! Call our Pest Consultant now on 1800 189 824 !!! Vanish Pest Control Services is a state-of-the-art pest control service provider in Brisbane. For more than 20 years, we have been delivering reliable, affordable, experienced, and customer friendly pest control services. Our exceptional solutions eradicate domestic as well as commercial pests. Domestic pests comprise mosquitoes, bed bugs, cockroaches, rats, dust mites, fleas, spiders, flies, bird mites, and wasps. On the other hand, commercial pests are of a different variety including Indian meal moth, house fly, ants, rodents, biscuit beetle, blowflies, rice weevil, grain beetle, types of cockroaches, fermentation flu, and mice etc. Our Pest Controllers are available 24 hours and 7 days for the same day pest control services in Brisbane. The pest control team at Vanish Pest Control Services consists of licensed and certified professionals who know the nuances involved in pest control solutions. We assure you of complete pest amputation with our single treatment for homes but for commercial properties where recurring pest infestation is a problem, you might need more than one treatment. The best way to avoid all of these unfortunate scenarios is to use our affordable pest control services from Vanish Pest Control Services Brisbane. Vanish Pest Control Services is a leading Pest Control service provider in Brisbane. Covering all areas of Brisbane, we are highly effective in pest control solutions as well. We have experienced staff that works with eco-friendly solutions and latest techniques to keep you safe from all kinds of pests. Apart from getting rid of existing pests in your home/office, we also offer precautionary solutions to ensure you don’t have to see any of those pests ever. We conform to severe health management guiding principles. Pests are common in Brisbane but Vanish Pest Control Services is working towards making Brisbane pest free! Find out more about our pest control solution, call Vanish Pest Control Services Brisbane! Why Choose Vanish Pest Control Services in Brisbane? Vanish Pest Control Services offers out of the world pest control experience all across Brisbane. No matter where you reside in Brisbane, we can be at your doorstep with one single call. We are a local company run and operated by a closed knit family. We deliver guaranteed results and 100% customer satisfaction with utmost professionalism. Our professionals have a keen eye for details and we work with the most advanced equipment for unbeatable results. Moreover, we keep upgrading our methods, equipment, knowledge, and services for utmost satisfaction of our customers. How to Live Pest Free in Brisbane? Keep your homes and offices pest free with pest control services from Vanish Pest Control Services at the lowest prices in Brisbane. Also enquire about our special pest control packages. We love to surprise our customers in all possible ways. Call us for more information!